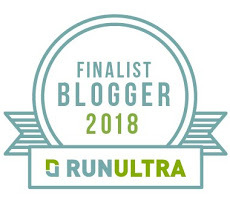 I've kept the ultra rankings posts to a minimum this year; now that they have a somewhat permanent residence at Ultrarunning magazine, it doesn't seem as crucial to have them on the blog, since you can view the updated rankings anytime you want. But as a service to those who haven't found their way over there yet, or as a reminder for those who have, I figured now would be a good time to bring everyone up to speed on where we stand with about ten weeks of racing left in the 2016 season. (If you have no idea what I'm talking about, head over to the Ultrarunning link above for a summary of how the rankings work, or just click the "ultra national rankings" label at the bottom of this post to see everything I've posted about it in the past. Since winning Bandera on January 6, Jim Walmsley has dominated this year's GUR. He holds a commanding lead of nearly 50 points on second-ranked Ian Sharman, who is putting together another fantastic season. (That doesn't even take into account Jim's recent demolition of Rob Krar's RTR FKT.) Last year's #1, Brian Rusiecki, sits in third and should pick up some points at Hellgate in early December. WS100 champ Andrew Miller is fourth. A mere 3.5 points separate second through fourth on the men's side. Walmsley and Miller are both slated to run at the North Face championships in early December, which will probably decide most of the final places in the top 10. WS champ Kaci Lickteig, ranked #5 in the 2015 GUR, is even more dominant on the womens' side than Walmsley is on the mens'. She leads Lake Sonoma winner YiOu Wang by over 100 points; even if YiOu can outrun everyone at TNF, catching Kaci may be impossible. Kaci has had an extraordinary season, with six wins from seven starts; her only loss was a second-place finish at Sonoma. I'd be hard-pressed to imagine anyone other than Kaci and Jim taking home this year's UROY awards. Anyway, below is the current top 50 men and women; totals are up-to-date through this past weekend. As always, you can view the entire list here, which is updated each week usually around Thursday or Friday. Use the CTRL-F function on the rankings sheets to find your own name; there are over 3500 men and almost 3200 women ranked so far. Older PostDoes Ultrarunning Make You a Better Person?